Boy, the milk is good, and lots of cream. Next time the stainless bucket will have a cleaner outside. After 16 hours, pretty well all the cream has risen. 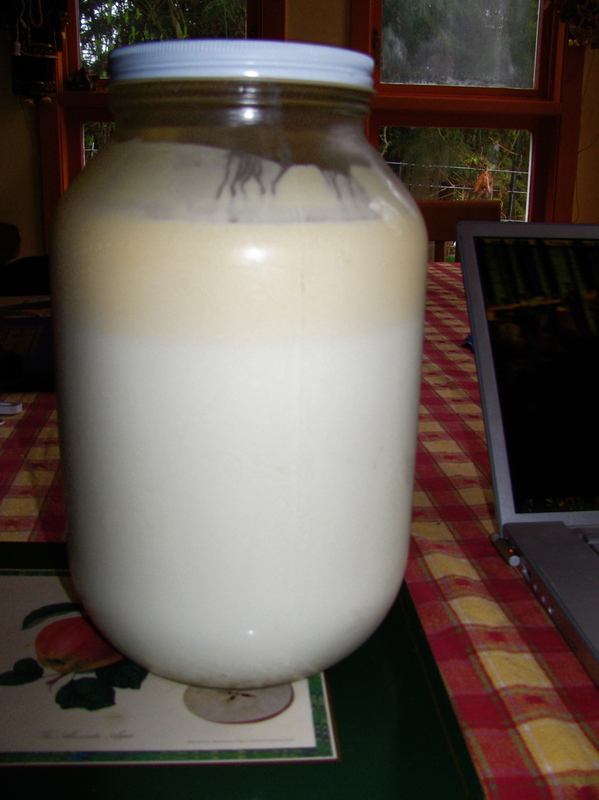 Jersey’s are known to produce this nice cream-coloured cream, and a fair whack of it. 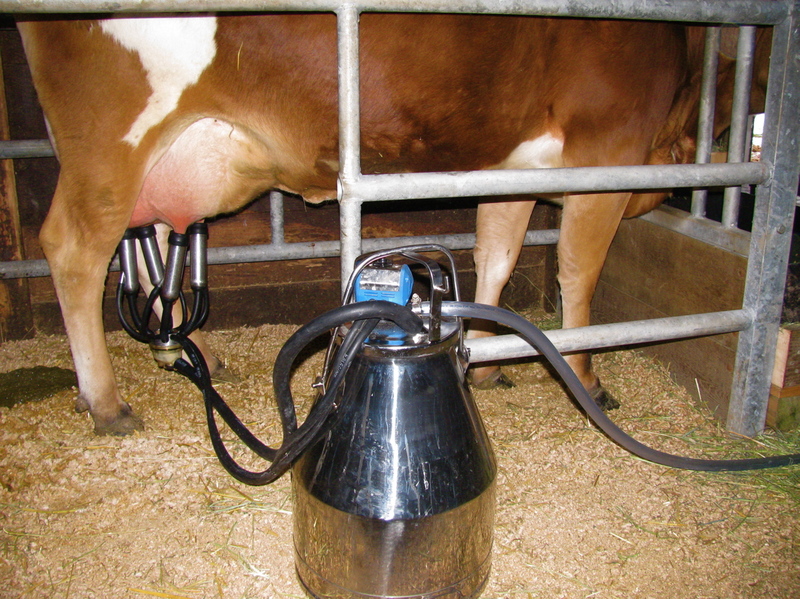 Wikipedia says 6 % butterfat (compare with Holsteins at 2.5 – 3.6 %). 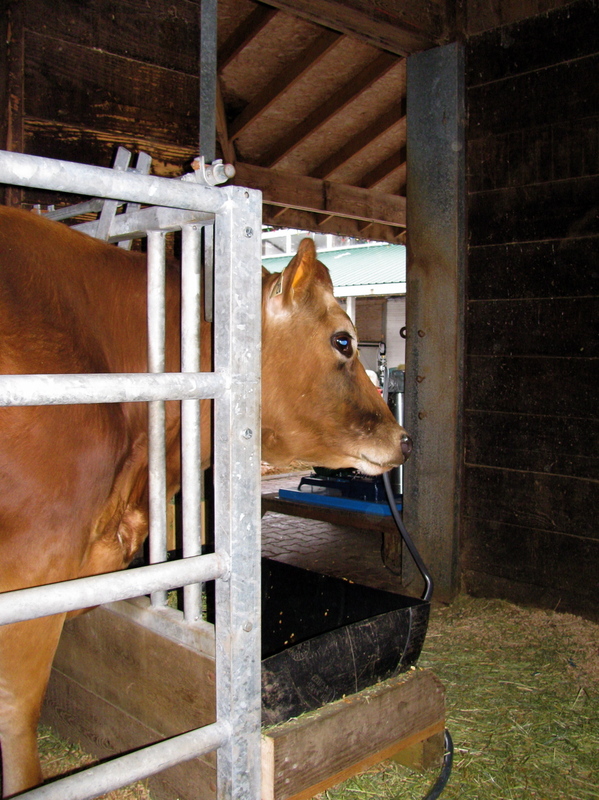 This entry was posted on February 26, 2011, 11:01 pm and is filed under farmlife. You can follow any responses to this entry through RSS 2.0. You can leave a response, or trackback from your own site. Dang Alistair, you have a Jersey Milker? I drink skim now so… blaa! 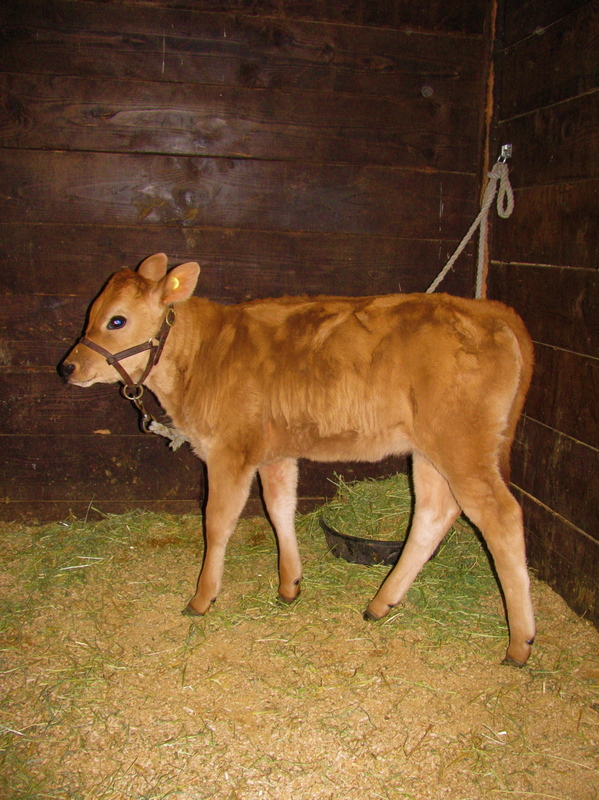 Cute calf… or we talking veal on the hoof? These cows come from my part of the world.